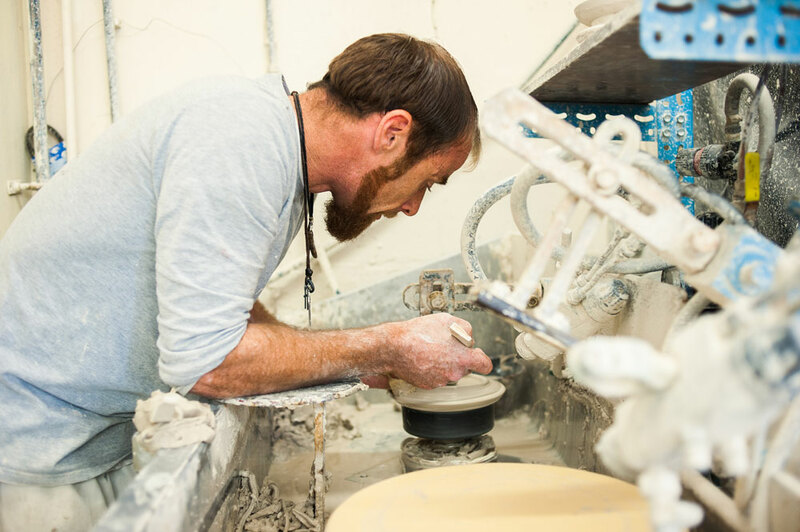 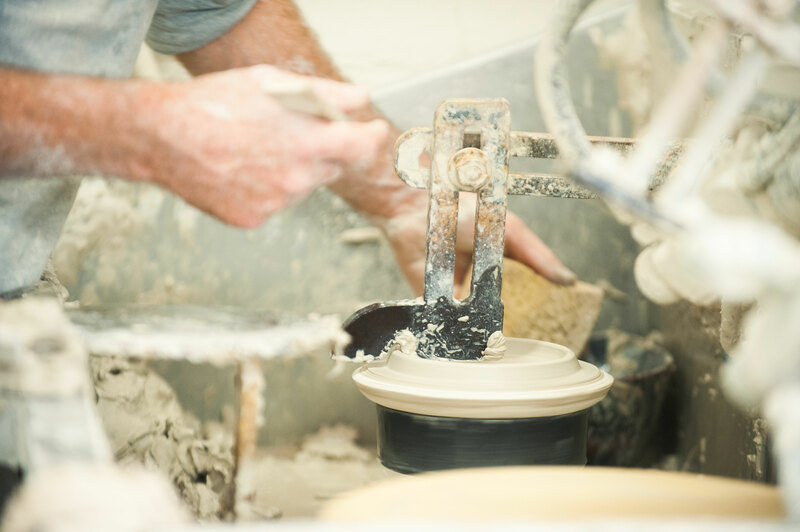 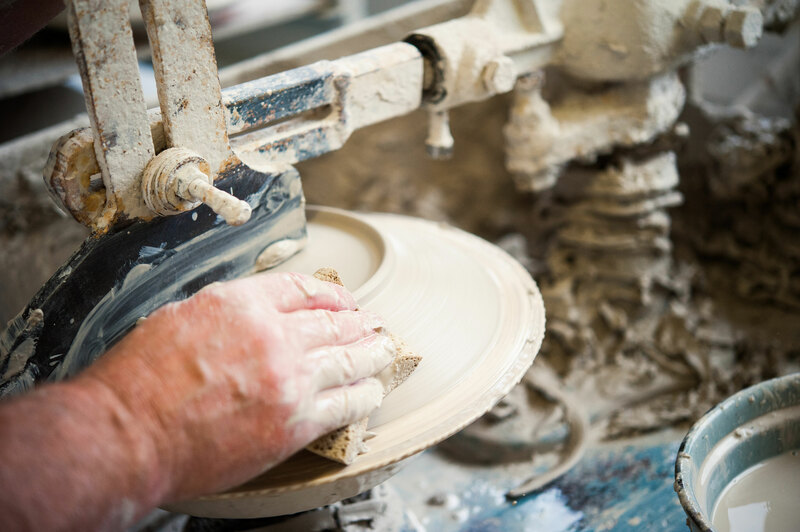 We are delighted to welcome visitors to both potteries, where you can walk through the workshop to see all the stages of production and talk to the skilled crafts people while they work. 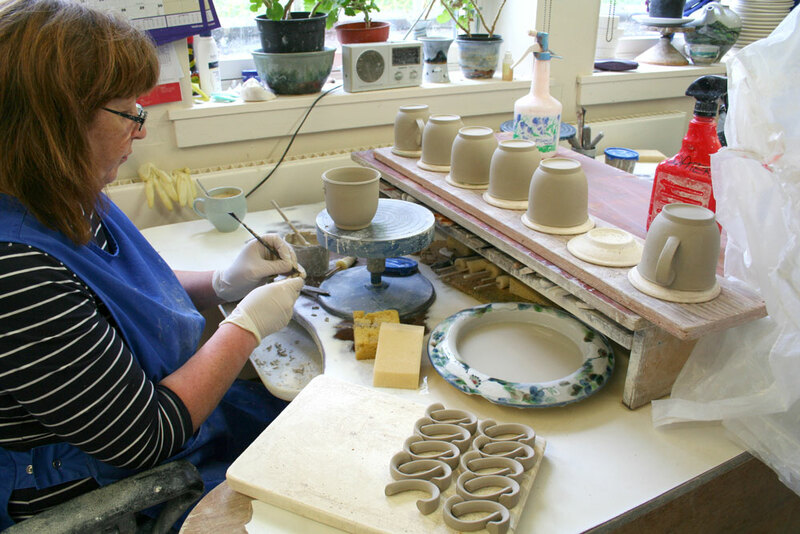 All of our clay, glazes and decorating colours, are mixed to our own recipes, and made by us in Lochinver. 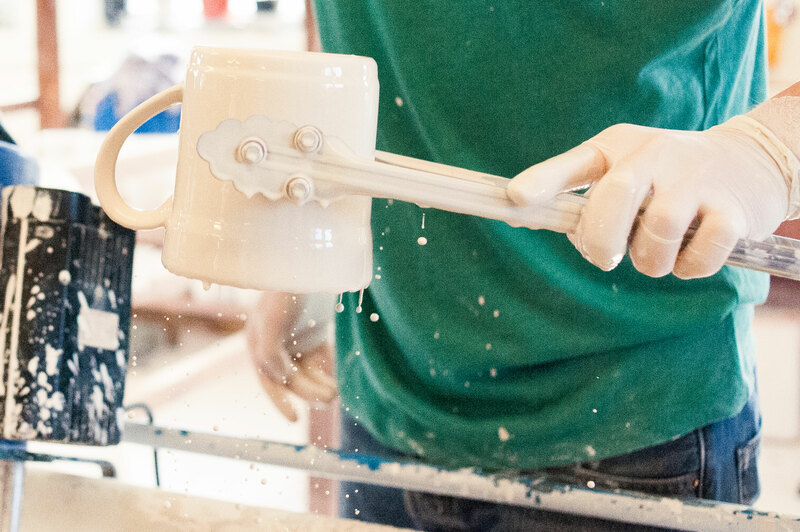 Jigger and Jolley – for all plates, bowls mugs, etc. 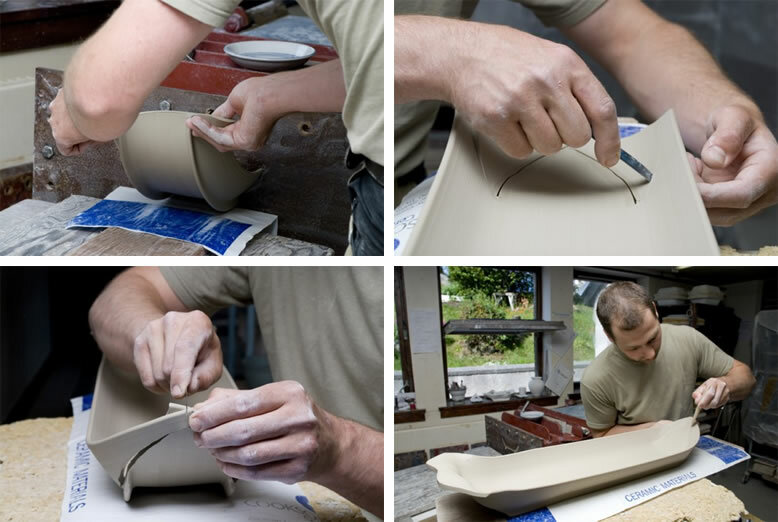 Our unique Extruder – for our Salmon and fish dishes, Geo squares & rectangles and Tiles. 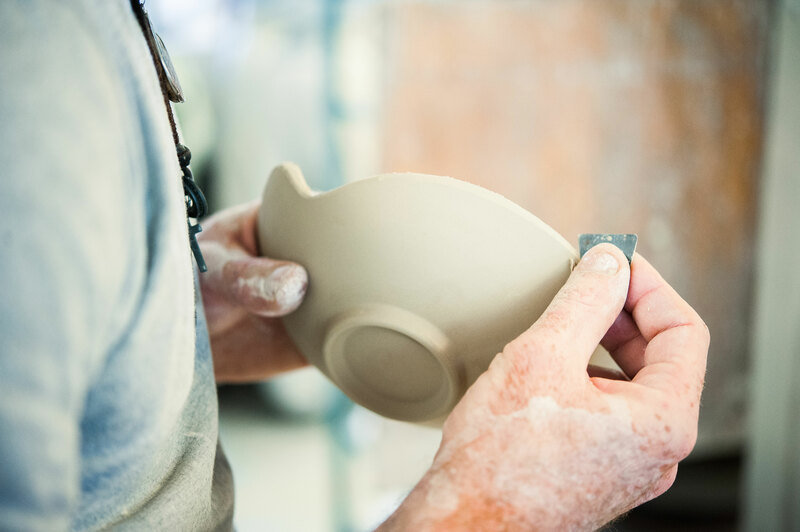 Each piece is carefully modelled, assembled, and finished by hand. 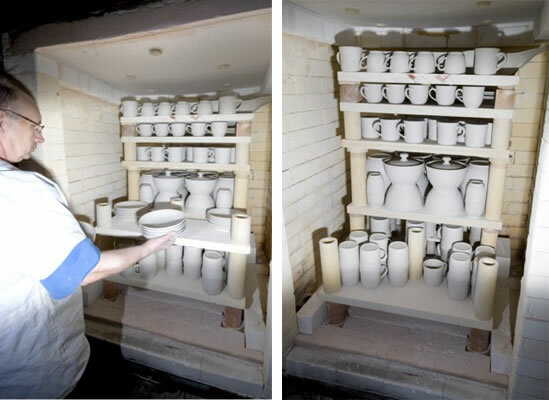 The pots are then dried and loaded into the kiln for the initial ‘bisque’ firing to 1000°c. 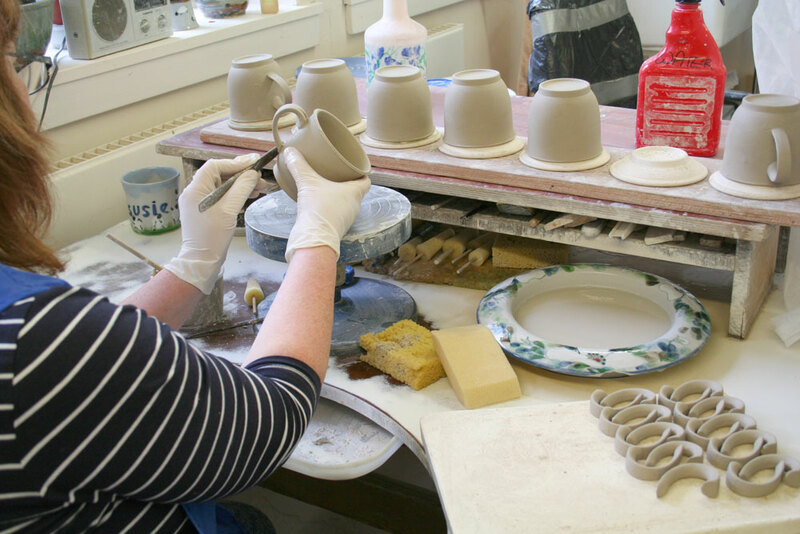 The next stage is to dip the bisque pot in the base glaze. 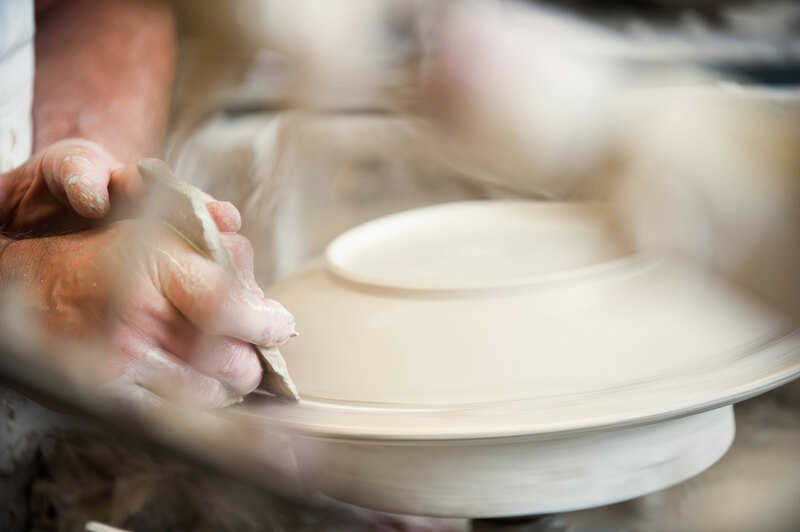 It is then skillfully free-hand decorated by our artists. 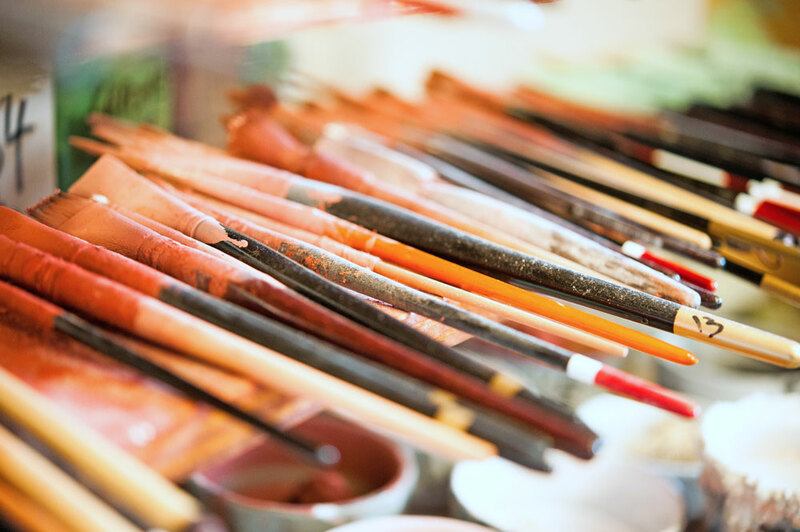 Our distinctive patterns are created by applying our unique palette of colour using a range of specialised techniques, primarily brushwork, but also sponging, wax resist, and sgraffito. 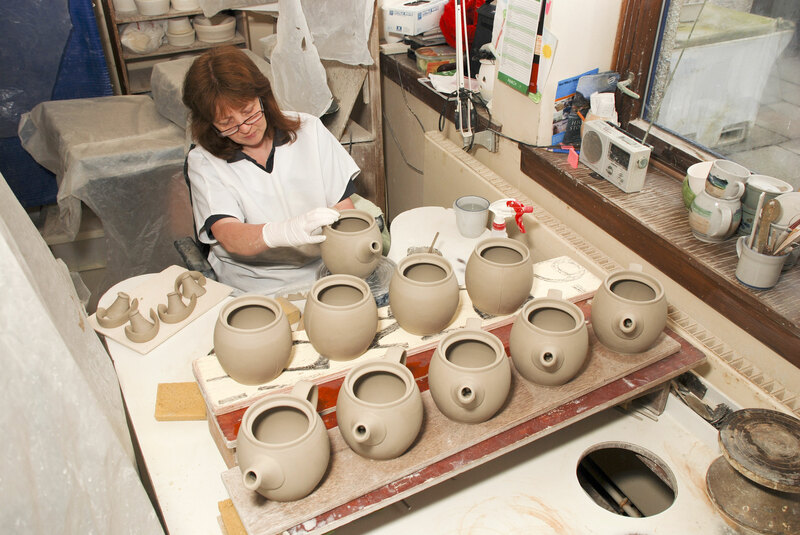 The pots are then fired to 1300°c. 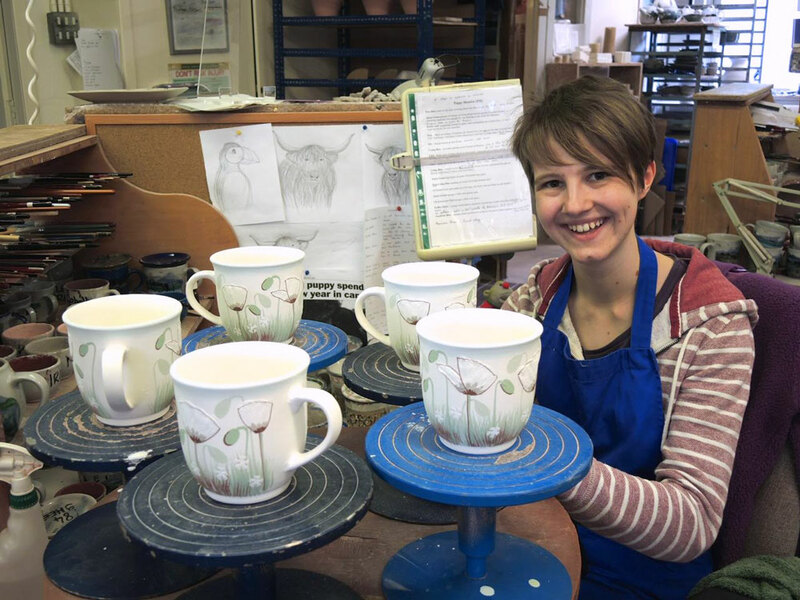 in a carefully controlled gas-fired kiln atmosphere. 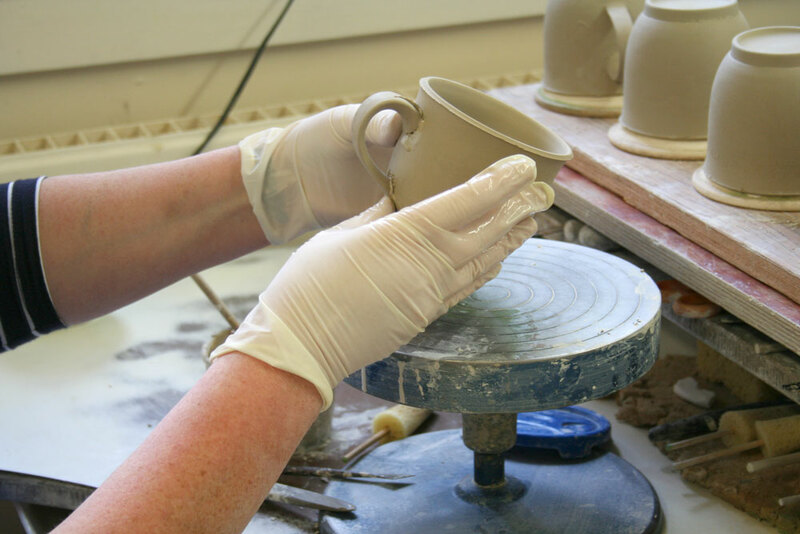 At this stage the glazes completely change colour. 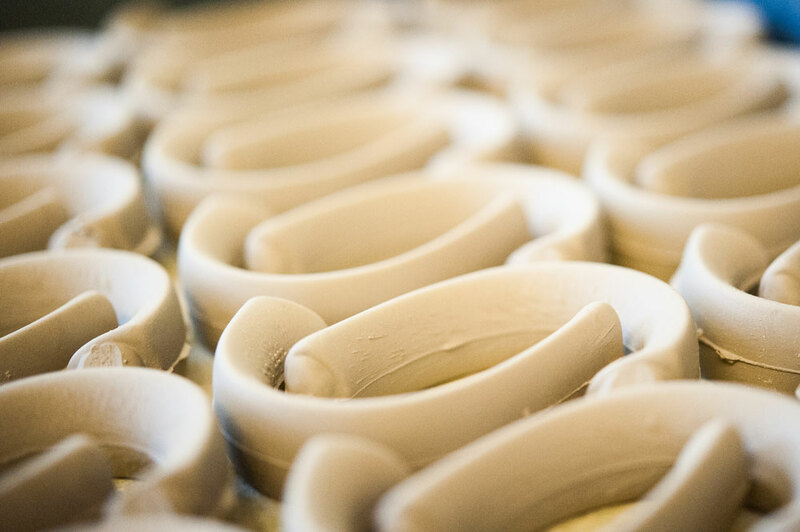 This ‘reduction’ firing gives us a richness and depth of quality, with permanence and durability that is the hallmark of Highland Stoneware.